Villager Stove Specialist have an experienced and technical team who can advise you on all aspects of your Villager stove, from general inquiries, to installation queries. A number of our specialist team are certified advisers, after successfully passing the HETAS solid fuel awareness course. 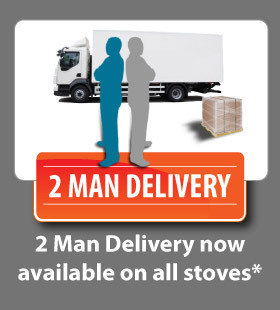 The Villager Stove Specialist team are available by phone, or email 7 days a week. 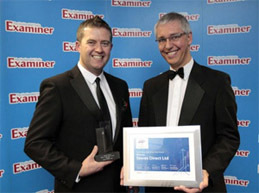 We give a 'voice' to the Internet; sometimes it is better to talk to a person. Call 01484 434325. Villager Stove Specialist, brought to you by Stores Direct, supply quality Villager stoves to customers through our showroom and website in the UK and Ireland. Villager Stove Specialist offers wood-burning stoves, multi-fuel stoves, gas stoves, boiler stoves and electric stoves, hand-selected from the best UK and European stove manufacturers, to ensure they cope with the demands of any modern home. Villager Stove Specialist are proud to offer one of the widest choice of quality stoves from a select group of leading brands. Villager Stove Specialist have over 10 years experience supplying stoves for domestic, commercial, retail and leisure purposes. We offer a comprehensive range of woodburning stoves, multifuel stoves, electric stoves, gas stoves, boiler stoves, flue liner systems, twin-wall and chimney flues, coupled with excellent customer service. Villager Stove Specialist have a selection of branded stoves, fireplaces and range cookers on display in our showroom, Stoves and Fireplaces, situated in Elland, near Halifax, West Yorkshire. The showroom is just off from the M62, making it easily accessible from Leeds, Bradford, Huddersfield and Manchester. Please call us before you visit to ensure your stove, or fireplace is on display. Phone: 01422 373540. Villager have been making traditional cast iron stoves since 1979. Villager Stoves combine modern manufacturing technology and innovations with traditional and highly skilled engineering expertise, helping to create some of the most fuel-efficient stoves on the market. Villager have rigorous quality controls which help to maintain these exceptionally high standards. This website highlights the Villager Stoves currently available, all of which are available with free next-day delivery if the item is in stock and if ordered before 11am. 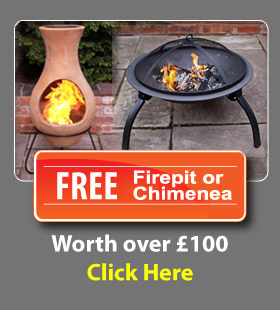 Stove spares, accessories and chimney products are available with free delivery on orders over £100. The Villager Stove Specialist - part of the Stores Direct Group, focuses on supplying high quality stoves. 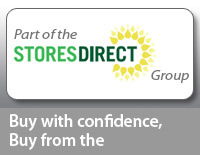 The business development strategy of Stores Direct remains focused on bringing high quality products to our customers at the best possible price, whilst focusing on high levels of customer service. The company will continue to invest in many new products and services in the coming year, further strengthening the foundations of the company to enable it to grow rapidly in the next 12 months. Installation Surveys* now available from the Villager Stove Specialist.